Here are the basic steps you need to take to restore an offsite backup to a new computer. Choose your new computer. If possible, make this computer have the same IP address as the old server. This will simplify connecting the workstations to the new server. 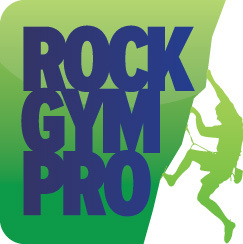 Download and install Rock Gym Pro, including the built-in installation of the MySQL server, onto the new computer. When installing MySQL Server and going through its configuration wizard, be sure to enable Allow MySQL through firewall and Enable Root Access from Remote Machines. Create a new, blank Rock Gym Pro database. If you are already on a Paid Plan, enter your Plan Activation Key in the settings. Then go to Data Entry window, select Manage, then Maintenance and then Backup and Restore. Select the Offsite Archive tab and restore the latest archive. You will need to enter in your Master Encryption Key and then re-enter your Plan Activation Key. Then point all your workstations at the new server. If you are not yet on a Paid Plan then select Restore From Another Location and point at your latest Rock Gym Pro backup. You will need to enter in your Master Encryption Key. Re-enter your Plan Activation Key after restoration. You'll also need to enable the transactional mail system and disable its test mode. Download and run the MySQL Configuration Utility supplied by Rock Gym Pro. You will want to uninstall MySQL server from the old computer to make sure it doesn't "wake up" and download waivers.